is coming May 16, 2015, to Mission Plaza, San Luis Obispo, CA from 11am to 10pm. Tickets are on sale NOW at all Vallitix locations, Boo Boo Records, and 1-888-825-5484. April 6, 2015 - Quincy Jones Presents: Alfredo Rodriguez Trio - Grammy Nominated Piano Virtuoso Cuban Pianist Will Light Up The Main Stage! April 4 - Grammy Award Winning Saxophonist, Paul McCandless, to open SLO Jazz Festival with Charged Particles. Announcing our HEADLINER: JOSHUA REDMAN QUARTET! 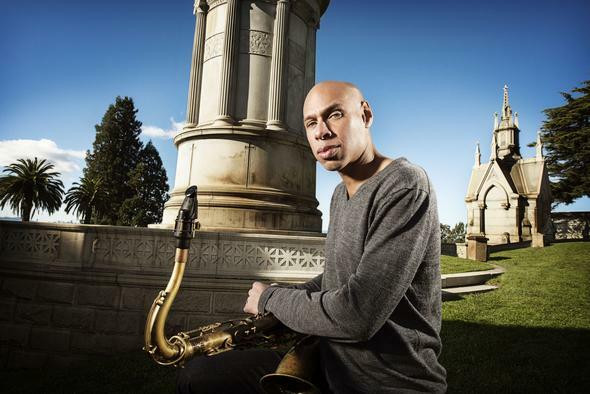 PRESS RELEASE: March 31, 2015 – The SLO Jazz Festival’s first headliner will be the Joshua Redman Quartet with Aaron Goldberg, Reuben Rogers, and Marcus Gilmore. One of the most esteemed and charismatic artists of his generation, Grammy Award Nominated saxophonist Joshua Redman “is unparalleled among horn players today” (JazzTimes). The continued vision of SLO Jazz Festival is to include world-class jazz artists to celebrate jazz – an original American art-form – in all its artistry and imagination. The organization is concluding their final sponsorship drive before announcing the full line-up April 6. More acts to be announced soon. Joshua Redman is one of the most acclaimed and charismatic jazz artists to have emerged in the decade of the 1990s. Born in Berkeley, California, he is the son of legendary saxophonist Dewey Redman and dancer Renee Shedroff. In addition to his own projects, Redman has recorded and performed with musicians such as Dave Brubeck, Chick Corea, The Dave Matthews Band, Jack DeJohnette, Bill Frisell, Charlie Haden, Herbie Hancock, Roy Hargrove, Elvin Jones, Quincy Jones, B.B. King, Yo Yo Ma, Branford Marsalis, Christian McBride, John Medeski, Brad Mehldau, Pat Metheny, Marcus Miller, The Rolling Stones, The Roots, John Scofield, Soulive, McCoy Tyner, US3, Cedar Walton and Stevie Wonder. 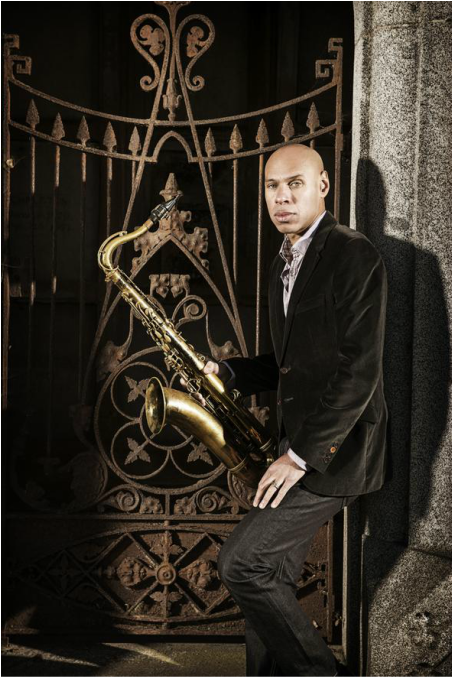 Joshua Redman has been nominated for 2 Grammys and has garnered top honors in critics and readers polls of DownBeat, The Village Voice and Rolling Stone. Learn more at www.joshuaredman.com. GoDaddy, the world’s largest technology provider for small business, is a new sponsor this year, as the Signature Artist Series Sponsor for Joshua Redman. GoDaddy’s CEO, Blake Irving, is himself an accomplished drummer and jazz fan who has played with multiple Grammy winners. “Helping bring a musician as talented as Joshua Redman to the stage at this year’s SLO Jazz Festival is inspiring,” said Irving, who resides in San Luis Obispo. “Joshua is passionate, diverse and driven, not unlike our GoDaddy customers, who own small businesses. As an entrepreneur, as in jazz, you really have to love what you do and know how to improvise. This is going to be one heck of a great show and I'm stoked it’s all right here in SLO." Full Lineup is now announced! We're adding new VIP amenities, a new Youth in Music Stage with a drum and conga clinic, and featuring other new bonus attractions, plus an incredible lineup of top International, Regional, and Local talent! It's simple and easy to donate to SLO Jazz Festival! Make sure to look through our Membership information first - we're planning to have the same levels for 2015. Your donation matters - every dollar helps our organization grow and a percentage of each donation is set aside for our Summer Jazz Workshop and Education programs.